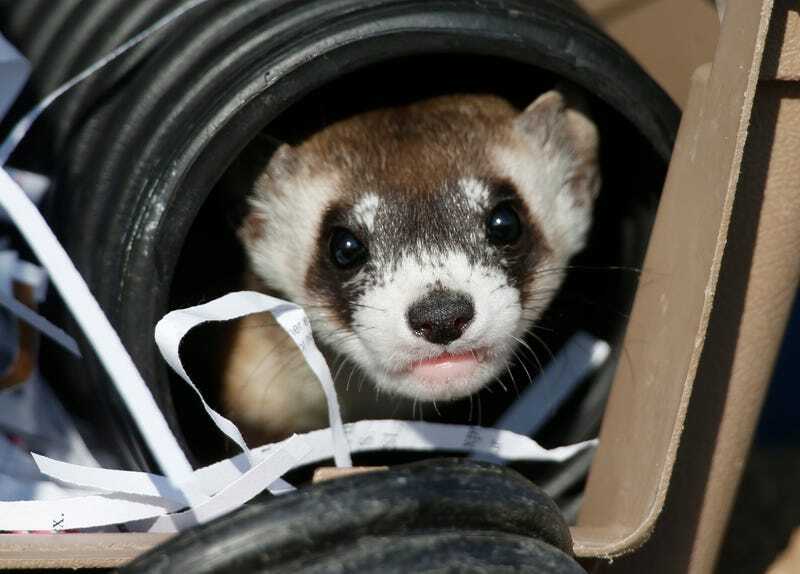 This sweet li’ll face belongs to a rare black-footed ferret, one of 30 released today by the U.S. Fish and Wildlife Service at the Rocky Mountain Arsenal National Wildlife Refuge in Commerce City, Colo. The 25-square-mile site was once a toxic waste dump, but has gotten new life (literally) after a billion-dollar cleanup.